Vintage saucer marked as Biltons Ironstone Tableware. It measures 5 5/8 inches in width. There are no chips, cracks, breaks or rough rim and has little, if any utensil or cleaning marks. 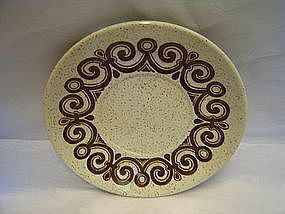 There are 4 saucers, as well as 5 bread/dessert plates available for purchase. I need your zip code to calculate the postage.